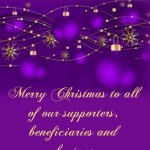 Warmest Wishes to all of you, from all of us here at TCT. 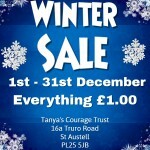 Throughout the month of December our St Austell Branch are holding an amazing Winter Sale, where everything in the shop is £1.00 or Less!!! Amazing!! Hope to see some of you there.